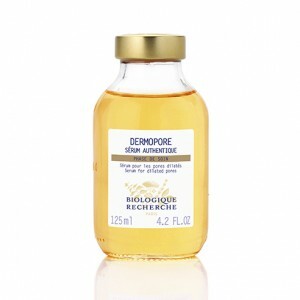 Sérum Dermopore is a rebalancing serum. Containing java tea, it will reduce sebum secretion, tighten pores, refine skin irregularities and purify the epidermis. Pores play a vital role in the physiology of the skin, allowing it to “breathe”, but it is essential to prevent and treat dilated pores before inflammation sets in and acne appears. This serum is therefore a care product for daily prevention for seborrheic Skin Instants® which are prone to acne and skin imperfections. Your skin will be left perfectly matt, more balanced and even. Sebum-regulating agent: Orthosiphon Extract (Java Tea) rich in Polyphenols.